There is probably nothing that puts fear and trepidation into the gardener's soul more than pruning trees and shrubs. We all start off afraid we're going to either prune it into an ugly, contorted mess or worse, kill it outright. It would be nice if we could only plant trees and shrubs that need no pruning at all, like evergreens. But in reality, ornamental trees and shrubs need yearly maintenance to keep them constantly renewing themselves and looking and growing their best. We've all heard that you should prune trees and shrubs that bloom I summer or later in the season in early spring and to hold off pruning the ones that bloom in spring, until after they have flowered. However sometimes you have to break these rules, whether because of damage, neglect, construction or other demands on your time. Don't worry, your tree or shrub will be able to handle it. Just don't try to make up for years of neglect in one season. 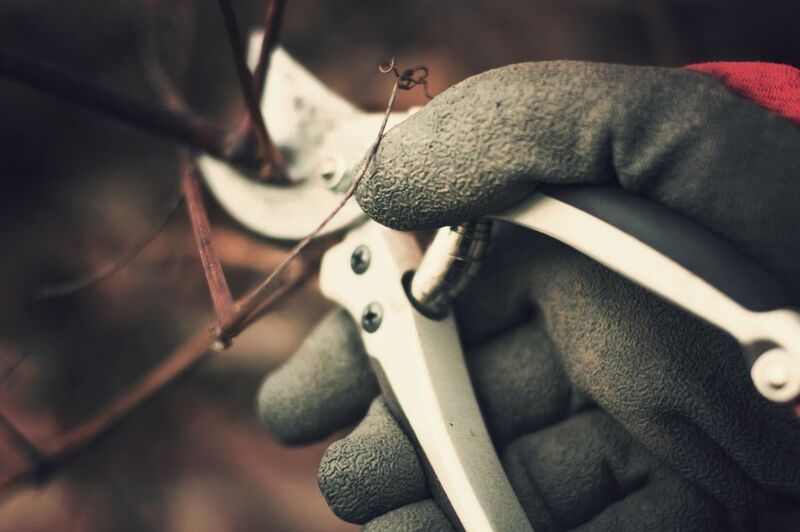 Here are 4 more pruning tenets that you can ignore. A severe pruning in the spring will mean you won't have to prune again all summer. It's better to do a little maintenance pruning each year. A general rule of thumb is to never remove more than 1/3 of the shrub or trees woody growth. That way you always have 1 and 2 year old branches and new wood filling in. It will keep the tree or shrub well-shaped, a manageable size and constantly renewing itself. Prune an ailing tree or shrub to rejuvenate it. Seal off wounds or cuts with tree sealer, tar or pruning paint. One final note, it will be much better for you and your trees and shrubs if you keep your pruning tools clean and sharp. You don't want to pass disease problems from one shrub to the next. You also don't want to tear and damage your trees and shrubs or your hands.